Can Proximity WiFi Networks Offer An Alternative Distribution Channel To Publishers? Facebook’s changing its algorithm, again. For news publishers it exposes their vulnerability of relying on a platform that will always put its own interests first. So the scramble goes on to reach audiences in meaningful ways. It draws the focus to how alternative, decentralised technology infrastructure can challenge these powerhouse gatekeepers of the Internet, offering communities alternative ways to create and share stories about their local life. In the growing trend of multimedia and mobile content consumption what digital tools make local, relevant and valuable information accessible and ‘findable’ to audiences that would otherwise be drowned out by the noise of the Internet? Field trials of lightweight community connectivity systems go some way to evidencing a different approach that fit with the UN’s sustainable cities and communities goal. Rather than relying on Google and Facebook as distribution platforms, decentralised proximity technology serves news and information in hyperlocality. The technical determiner of news relevance is no longer an Internet giant’s algorithm, but rather hyperlocal place. WiFi-based distribution systems offer accessible networks without the need for applications. In a prototype deployed in three remote villages of Armenia, online content from seven news providers was adapted as static pages served and distributed as offline content in hyperlocal locations such as bus stops, health centres or village buildings. It allows content to be tailored to place. The decentralised typology allows publishers to pinpoint to the nearest few meters what content is consumed where by who: invaluable information in the battle to find a viable business model. This precision of news data analytics is not available to publishers via the Internet giants, particularly not in rural, or restricted environments such as Armenia. Moreover when fully operational, one device can connect to the Internet to receive real-time content and then distribute amongst other devices offline when the network is in mesh formation thus acting as a solution to information access where Internet connectivity is problematic, limited or costly. Distributing content in this way overcomes a central problem: many people want to find information relevant to where they are and who is close to them via their mobile phone – what Facebook would describe as ‘meaningful interactions‘. It also needs exploring as an alternative for the millions of people worldwide without reliable Internet connectivity. This type of infrastructure has the added benefit of easily adding tools for community storytelling. Users are encouraged to write and share stories about their own life, via for example a WordPress blog, thus emerging their own habits and preferences about what content they want to consume where, even to some extent shaping a place-based news agenda. However, even in rural communities, where most users have mobile phones but cannot afford a data connection, the tendency is to rely on social networks such as Facebook or in the Russian territories Odnoklassniki. They understand and expect distribution that’s always new, always instant, always two-way. An offline decentralised mobile-ready alternative needs much explaining, and technical support to keep it operational in outdoor environments. The impact of location-based services within the journalistic context has only been addressed in a handful of studies to date. Nyre et al. (2012) developed a location-based news project called LocaNews that found it difficult to write for location. Schmitz Weiss (2013) found that newsrooms use place-based mobile applications mainly for traffic or weather reports while young adults were consuming news on their smartphones and there was a high use of location-based services including consumption of local news content through such services. Thus pointing to a gap between what news consumers are doing and using on their smartphones and what news organizations are able to provide when it comes to geo-located news content. What comparisons can be drawn between the effectiveness of web applications, beacons, WiFi typologies, geofencing, narrowcasting, Near Field Communication, Global Positioning Systems, Radio Frequency Identification and more to explore new mix-and-match models of hyperlocal distribution. To understand content popularity based on place. While there is some understanding to what is consumed where there is little work to unpick why. An ability to understand why content is more popular based on location would further enable news providers to provide better experiences. The availability of news data consumption analytics in hyperlocal place for further opportunities to understand and match instantly what is needed at location: a new model to be explored at scale. Relevant revenue opportunities such as digital placemaking, active citizen nudges paid on commission, conversion of passing footfall, and cost-saving benefits for communities. Further insights into revenue possibilities for publishers in politically pressured environments would be of particular value. For further details please refer to the project report for CAST – Discovery Amplification Sustainability and Interactions, a WiFi proximity broadcasting prototype deployed in three remote villages of Armenia. This is the first of a number of related blog entries that will look at the post-2015 development agenda and its implications. This entry describes the process of setting that agenda. In theory, the origins of the post-2015 process could be traced back many years to the setting of the Millennium Development Goal deadline. It was obvious then that there would be a post-MDG world from 2015. 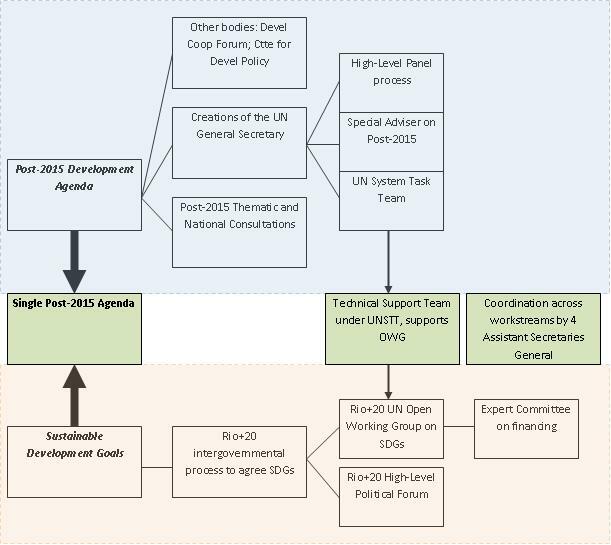 However, it seems more appropriate to date the timeline (see Figure 1 below, and more detailed timeline in Table 1 at the end) from September 2011, with the formation of the UN System Task Team: the body charged with overseeing the post-2015 process. The MDGs were an integration in 2001 of two rather separate processes: the OECD Development Assistance Committee’s work on International Development Goals, and the UN’s work to develop the Millennium Declaration. This added to the time and effort required to produce the MDGs, yet the same is happening again with the post-2015 process, as summarised in Figure 2 below (adapted from an original by Claire Hickson). The timeline shown is therefore a single representation of multiple strands. The post-2015 development agenda process is relatively well-advanced. Following the UN System Task Team’s formation, a series of thematic and national consultations on the agenda have already been conducted, with two key reports produced in 2012 (“Realizing the Future We Want for All”) and 2013 (“A Renewed Global Partnership for Development”). A High-Level Panel was set up by UN Secretary-General Ban Ki-moon. Chaired by the Presidents of Indonesia and Liberia and the UK Prime Minister and involving 24 other “eminent persons”, this produced its report mid-way through 2013. These documents were placed before the UN General Assembly when its 68th session began in September 2013; a session which included special meetings and events on the MDGs and after. At the time of writing, the sustainable development goals (SDGs) process was not quite so well developed. Emerging from the 2012 UN Conference on Sustainable Development (“Rio+20”) and its General Assembly resolution in July 2012, this led to formation of a UN Open Working Group. The Group has been supported by a UN System Technical Support Team, which provides a link to the post-2015 activity since it works under the UN System Task Team. It has also been supported by an “Intergovernmental Committee of Experts on Sustainable Development Financing” and a “High-Level Political Forum” that provides political momentum for the process. 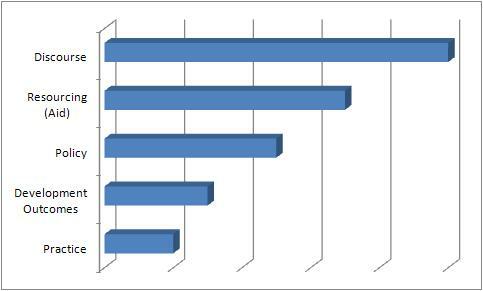 The Open Working Group has a series of eight sessions being run during 2013-2014, and structured along thematic lines. This will report towards the end of 2014. At that point – during 2015 – an integration of the two processes and political negotiation of the final post-2015 agenda should occur, leading to a new post-MDG framework to run from the start of 2016. It is worth just asking whether such a framework might not emerge. Present signs are that this would be extremely unlikely: process, timeline and structures are all in place; and significant political capital – plus other resources – has already been invested. It would take something huge and unexpected to derail the process. We can therefore work on the assumption that there will be a post-2015 agenda.